The Origin of F.O.R.C.E. is about an alien invasion that’s stunted, but the alien’s will be back and humans must prepare. What was your inspiration for the lizard like alien antagonists and their culture? I wanted an alien race that was not human but could be related to easily by the reader. The race had to walk on two legs and with the proper disguise be able to walk among regular people. They had to be fearsome but not so alien as to be physically outlandish. Finally the decision was made to create the Chrysallamans, an alien race of lizard people. Their culture would be similar to Earth in that there were all kinds of citizens, from educators to the military. I’ve read books where the description of the alien and its culture is so complex and foreign, the story becomes hard for the reader to follow. I want the reader to comfortably read the story without having to constantly remember odd words and customs. In my opinion, the reader has to be able to somehow relate to all the characters. In the story scientists must manipulate human genes so they are better equipped, physically, when the aliens return. I found the science in the novel to be well developed. What research did you undertake to make sure you got it right? I used my imagination and thought a virus would be the perfect tool for the scientist to use to alter a person’s DNA. The changes had to be understandable to the reader. If they were too outlandish, the reader would reject the story. Wikipedia was a great source for ideas. One of my daughters earned a PhD in genetic research and works in the field. Major Blunt is the one that raises the alien boy. What was your process in writing their interactions to develop the bond they have? I have 5 children and 2 step children. My interactions come from real-life experiences raising my kids. The Origin of F.O.R.C.E. crosses many genres; sci-fi, action, adventure. What books or authors were the biggest inspiration for you? John Campbell, Robert Heinlein, and E.E. ‘Doc’ Smith were the biggest influences on my story ideas. They could really take me to a whole new reality in my mind as I read their stories. The second book in the series is Dawn of Chrysalis. Can you tell us what’s next in the story of F.O.R.C.E.? The human race is in trouble. After narrowly claiming victory in the first invasion, an assault by advanced militaristic aliens armed with light speed capable spacecraft is a continuing threat. Humans have to discover the secret of faster than light travel. Chrysalis has been attacked by a new enemy and the Emperor flees to Earth thinking his armada is waiting for him. Whatsit is on a mission to return to Chrysalis and save his fellow Chrysallamans from being wiped out by the new menace. Whatsit returns to Chrysalis but some evil humans trick him and allow him to be captured by the new aliens. The Chrysallaman Resistance finds him. Right now I’m writing Chapter 6 of the third book. Very exciting. The first scout ships of the Chrysallaman Empire made contact in 1947. Their mission was simple: find a suitable planet for colonization. Earth—HG-281—was the perfect target. Rich with land, minerals, and water, the blue planet could boast only of a primitive race of defenders known as Humans, bugs who could be easily squashed by the might of a single Chrysallaman’s mind. When one of the scout ships is unexpectedly brought down, the advance party is forced to return to their home planet 30 light-years away to report and regroup. In their wake, they left behind a broken ship, dead crew members, and a young alien boy who would grow to become one of Earth’s greatest assets—and her greatest ally. The lizard-like aliens would be back, and in force. Mankind must prepare a strategy capable of defending against not only superior technology, but superior psychic ability and strength. It will take an elite group of military personnel, brilliant scientists, a sombrero-wearing alien, and another generation to plant the seeds that will grow into a World Wide Defense, the likes of which the Chrysallamans have never known. Nex Mexico, 1947. A spaceship crashes on Earth during an exploratory mission from Planet HG-281 and leaves behind a 12-years-old alien. His name is Whatsit and he belongs to the Chrysallamans species, gigantic lizards with extraordinary mental powers, which enable them to control the humans’ brain and ultimately destroy them. The U.S. military takes custody of the young alien during a covert operation on the site of the crash, led by Major Jim Blunt. Shortly after, in Washington, a governmental committee calls a meeting of prominent scientists to inform them of the presence on U.S. soil of the young alien and alert them of the incoming danger of an invasion of Planet Earth by the Chrysallamans. Taking into consideration that Planet HG-281 is around 30 light years from the Earth, they estimate an invasion will come in 60 years. 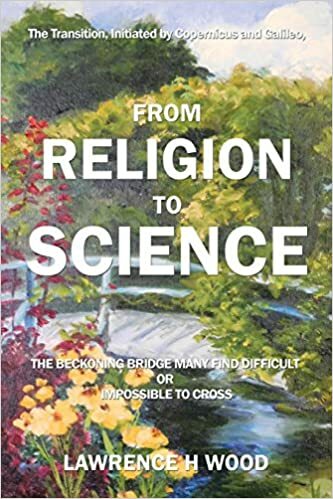 A bright young doctor, Diane Hoffmann, comes up with the original idea of studying the DNA of extraordinary human beings in order to isolate the genes that make them special. Those genes could be then translated into a vaccine against the aliens’ mental powers. Major Blunt finds the idea brillian,t and he takes off with Hoffmann to Tibet where they will bring Whatsit to visit a teenage Dalai Lama. The Lama is able to communicate with the alien through telepathy and he reassures Blunt and Hoffmann of the alien’s good nature and gratitude towards the soldier who was taking care of him. Once taken a sample of the Lama’s DNA, the two go on to meet a strong man in Germany and then a Skullreader back in the U.S.A. in order to collect their DNA too. A dormant virus – engineered to become active at a chosen time- is eventually developed so that humans can be ready for the invasion to come sixty years later. The first to be inoculated is Major Blunt, the soldier who raised Whatsit as a son and the now husband of the brilliant scientist who synthetized the substance. A leap in time brings us to the 70s, briefly, to meet the young son of Blunt and Hoffmann, Tom, on his way to a military career. In 2014, as feared, the Chrysallamans come back and spread terror and destruction all over the world. Till they meet Tom Blunt, the brave son of Jim Blunt. 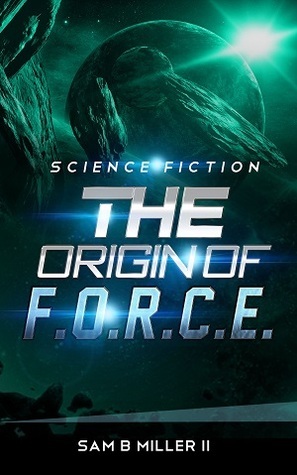 The Origin of F.O.R.C.E by Sam Miller brings 70’s sci-fi films and literature about alien invasions into the new era. Anyone who enjoys a science fiction novel for the science will definitly enjoy this book. I found the idea of DNA manipulation in the book to be novel in it’s application to the problem and well defined in it’s descriptions. There were a lot of great twists and the storyline was entertaining, which is why it was dissapointing that the characters, I felt, were underdeveloped. But a lack of in-depth character analysis is compensated by a constant flow of action. This leaves the novel feeling more like a script, but that certainly makes it a good candidate to be converted into a movie. I absolutely cannot wait to read book two Dawn of Chrysalis.